BRAND NEW LIFETIME ARCHITECTURAL SHINGLE ROOF & GARAGE DOORS NEWLY INSTALLED!! 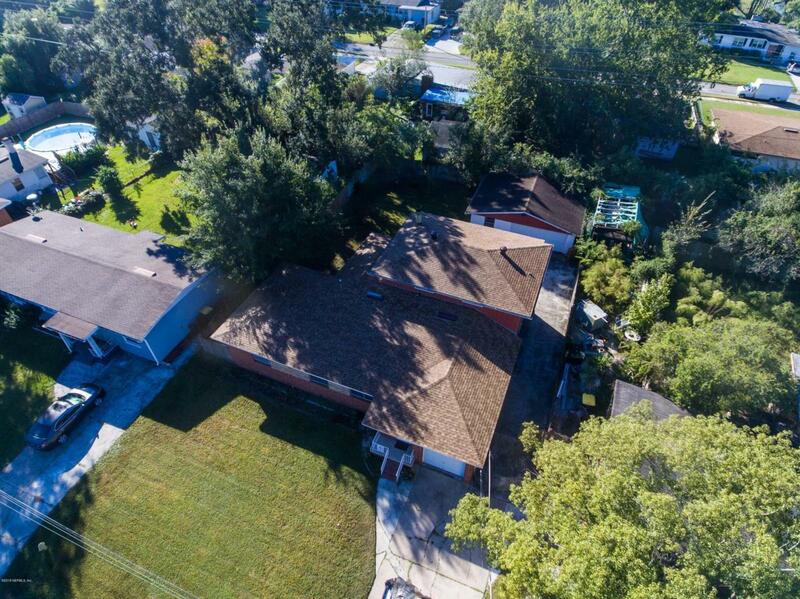 Sans Souci Sweetness!This 4 bedroom, 2 bath home boasts 2284-SQ-FT Situated on 1/4 of an acre!! Enjoy this home's beautiful wood finishes such as wood floors & gorgeous custom kitchen cabinets with endless storage space. You'll be amazed! This home also includes all kitchen appliances, washer & dryer, wood burning fireplace, glass enclosed patio, and converted half garage/bonus room. Enjoy parking your car, RV, or boat in privacy! Easy access double swinging gates with a paved driveway leading back to the 2-car garage.Hurry, don't miss out on this GREAT DEAL!